Texan Girl Talks: I'm on the hunt! For a new half marathon... Yes, the Disney run is FULL. It was literally less than 12 hours and FULL! Apparently people are waiting by the computers to sign up! Well rookie mistake on my part. I will know better next time and be more prepared. This runner thing is serious. Here's what the week has been like for me. It doesn't look like a whole lot, but my goodness, any week I have a test, it's hell. Monday: Cramming like crazy for my test! Tuesday: Test done! Punched it in the face by the way! Thursday: 30 minutes on the treadmill and LOTS OF FOAM ROLLING. I'm in lactic acid hell. Everything is hurting today. It's absolutely awful to foam roll IT bands. MY GOODNESS. I've been drinking TONS of water today. Goal: keep up these workouts to avoid so much lactic acid build up at a time. 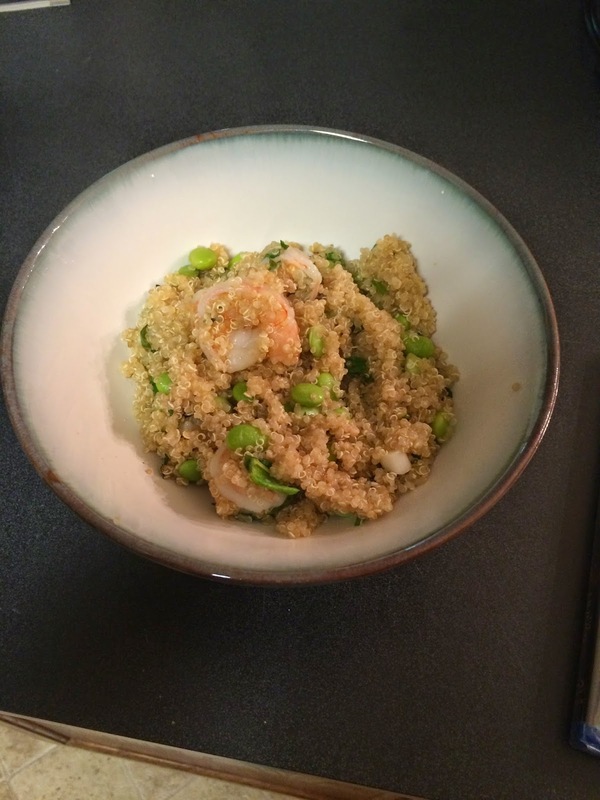 Look what I made today: Shrimp Quinoa salad, I'll post the recipe later! I'm taking off the rest of the day to chill out. No books, not looking at any notes either! I'll start back up tomorrow, got to gear up for the final on Tuesday! Everyone have an awesome rest of the week, its almost the weekend!!! How do you deal with soreness after a workout? Any remedies? Any of your favorite half/full marathons, that I should try?